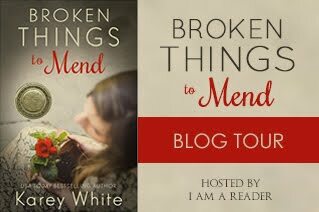 Missing Lily Blog Tour & Book Review & Giveaway! 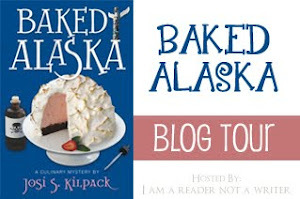 I have been waiting and wondering and hoping that Annette Larsen would write another book after Just Ella! I was so ecstatic when I found out she had and it was about the same royal family! This story is about Lylin, Ella's youngest sister. Right away I was taken in by Lylin's stubborn nature and her openness. I loved Rhys as a character and how strong, capable and yet mysterious he was. 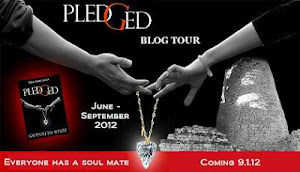 There is plenty of intrigue in this book which I adore and also plenty of romance! The chemistry between characters is sizzling while staying within appropriate bounds for a sweet romance. There are toe-curling kisses and love that will have you sighing and squeezing your own loved one tight. I loved the ups and downs, the unsurety of the future for Lylin, I loved it all! Princesses, dashing Lords, a King and Queen, a villain and intrigue...what more can this reader want? I loved it so much I stayed up until my eyes were burning and now I am hoping for another book in the series! Lisette Pannebaker speaks five languages and has a brilliant business plan—personal language immersion. Clients can hire her to shadow them and speak all day in any language they need to learn for business or travel—whatever. But there’s a major hitch: she’s far too pretty. Clients with less than honorable intentions sign up just have Lisette at their side. Solution? A make-under. Way under.It works like a charm. None of her male clients show her the least bit of interest. Until… Erik. Erik Gunnarsson is charming, kind, and smart—everything she’s ever looked for. Even though he seems to have a secret and she swore she'd never date a client, Lisette is tempted to shed her disguise—even if it means jeopardizing her career. I wasn't sure what to expect from this final installment in the Ripple Effect Series. What I didn't expect was that this would be my favorite book of the series by far! Lisette is amazing, hard-working and cursed with beauty. I say cursed because men seem to think they can man-handle her because she is gorgeous! No one should be treated that way, especially in a professional setting like her job as a language teacher! So Lisette gets a make-under which includes a mousy wig, a uni-brow and a wart to boot! Under these circumstances she meets a potential client, Erik. Can you say handsome, gorgeous, greek god with an accent? Yeah he is that good looking but super sweet and he doesn't seem to care that Lisette is less than stellar looking. The story that unfolds next is simply wonderful. I don't have words to describe the journey these two go on together, I just know that I was so glad I got to read it! Not everything is always what is appears to be and sometimes people get what they deserve! A well written novel, Griffith is one that I will definitely be reading more from! What is the best marriage advice you ever received? For author Seth Adam Smith, it was the advice from his father, who said, "Marriage isn't for you. It's about the person you marry." These few words completely change the way Seth looked at his relationship with his wife. His thoughts on the subject became an online phenomenon. Paired with beautiful images, they are now available as a book—the perfect gift for newlyweds, those who are celebrating an anniversary, or anyone who wants to learn how to make a relationship stronger. So here's the long and the short of it. 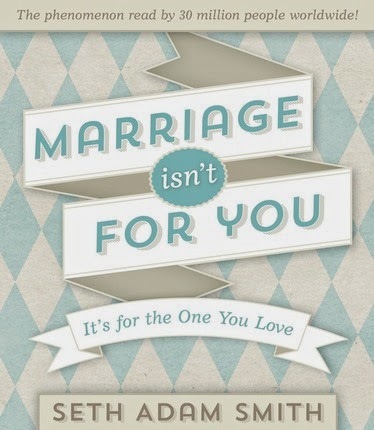 This is a great book for anyone who is getting married or is already married! It is short, sweet and to the point. Marriage isn't about yourself, it is about the person you are marrying. When you truly love someone then you are going to put them first in your life because you love them so much. Smith's father gave him wonderful advice and Smith himself shares a personal story illustrating the importance of putting your spouse first in life. Honestly this book is a great reminder for everyone about the true meaning of what love is all about. When you truly love your love motivates what you do, say and act in your marriage. I highly recommend this book! It isn't just for engaged couples or newlyweds, it would be a great anniversary gift as well! SETH ADAM SMITH was born in Anchorage, Alaska. Since 2004, he has produced videos and articles for businesses, nonprofit organizations, youth groups, artists, and political causes. He is the editor-in-chief of ForwardWalking.com. He and his wife, Kim, live in Florida. Summary: Follow the patriotic journey of a little red balloon as it makes its way from the West Coast to the East Coast of the United States. Accompanied by the words of one of America’s most beloved anthems America the Beautiful,From Sea to Shining Sea shows the diversity and beauty of our great country through the eyes of our nation’s children. To add an interactive experience, kids all across the United States will be able to go online to send their own balloons on their own journey. Discover America From Sea to Shining Sea is a beautifully illustrated children's book put to the words of America the Beautiful. What I love so much about this book is how it breaks down the song by phrases and pictures to help children understand the beautiful meaning behind this song written about our country. Phrases like 'amber waves of grain' don't mean much to a child, but when paired with a beautiful illustration, then the child can understand the meaning of it. Their understanding is opened and they begin to realize this song is about the beauty found throughout America! The red balloon that appears on each page is a nice touch for younger children who can look for it as the book is read! From now on I myself will think of these beautiful images whenever I hear America the Beautiful. 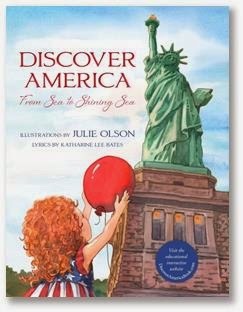 A beautiful book that will help any child understand the patriotism behind the song, I highly recommend From Sea to Shining Sea! 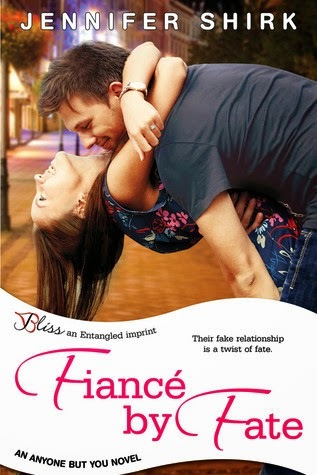 I fell in love with Fiance by Fate! It was fun, flirty, and full of witty banter. Sabrina decides to patiently wait for her ex-fiance who just needs some 'time' to make sure he is ready for marriage. Now me, I would run the other direction if my fiance had already proposed and then decided he needed more time to be ready! Really? Anyway, Sabrina is convinced they are so right for each other but she continues to see him with this other woman. Enter the annoyingly-drop-dead-gorgeous and conveniently single Jack. Convenience and a pay-off for both brings the two into a fake relationship. This is where the fireworks begin! Bring on the swoon worthy kisses and the heart pounding love connection! If only the two can wake up and realize what they have together! I loved the run-ins with Sabrina's ex, the over protectiveness of Jack and the chemistry was sizzling hot! If you enjoy a light-hearted romance with laughter, this is the book for you! It kept me page-turning to the very end! A wonderfully well written book that I will read again and again! Emma has it all – looks, money, and luck. It’s not like she keeps it all to herself – she’s totally committed to helping those less fortunate. AKA, everyone. She invites her heartbroken friend to help with a weekend charity event with an eye to matchmake, but when that friend turns her eye toward the guy Emma wants for herself, how will she choose between friendship and her own feelings? The Jane Austen Academy series are modern retellings of Jane Austen classics set at a beachside California boarding school. I have fallen in love with the Jane Austen Academy series that Gray has written! After each book I think that she cannot write another one better....but she does, every time! Only with You is an amazing modern re-telling of Emma and I thoroughly enjoyed this story. I found myself pulled into Emma's matchmaking world where she needed to help people, she needed to feel good enough, she needed validation that she was a good person. She had an amazing heart full of compassion and kindness for others. I couldn't believe she couldn't see what was in her own heart and when she did, that she was willing to sacrifice that for her friend!! The emotions are heart-felt and I found myself sympathizing with Emma but cheering for her to do the right thing for herself! The reader can't help but fall for Knight; he is constant, kind and the buff muscles don't hurt either! Any Austen fan will enjoy this modern-day take on Emma! 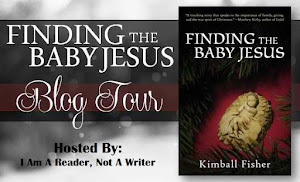 --A book giveaway of the author's choice to the winner based on her perusal of their Goodreads shelf (because just like her heroine, Emma, she think she know what's best for everyone. ;) - we thought this would be fun and relates to the MC's personality. 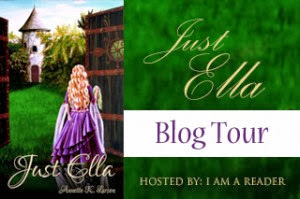 Second Chances 101 (Ripple Effect Romance #5) by Donna K. Weaver Blog Tour & Giveaway! Thirty seven year old Francie Davis, a recent widow and empty nester, gets to attend college at last. She’s sure her luck has changed when she also lands a job on campus that will pay her tuition, as administrative assistant to a history professor. When her handsome new boss yells at her on the first day of work, Francie worries she will never be good enough. For Professor Alex Diederik, life is going downhill fast. Not only is his bitter ex-wife trying to poison their only daughter against him, but now his one place of solace—his work environment—is being complicated by his attractive new administrative assistant. She drives home his feelings of failure as a husband and father, and Alex wonders if hiring her was the right thing to do. Francie will have to put aside her hurt and insecurities or risk her dreams, while Alex must look outside himself if he’s to mend the breach with his daughter. And, perhaps, find someone who can help heal his pain. 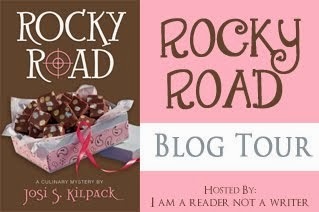 I am really loving the Ripple Effect Romance Series! If you don't have a lot of time and need a quick pick-me-up, any of these books will do the trick! 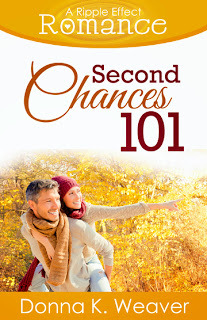 Second Chances 101 is well-written and has a beautiful story! Francie finds herself a widow at 37 and her only son leaves for college. So she enrolls in college and takes a position as an administrative assistant for a history professor to help pay her way. What she doesn't expect is his rudeness upon their first meeting! She also doesn't expect to find a friend in a young college girl who is lonely and looking for some direction. I absolutely loved this book! Francie is strong, capable, and has such a positive outlook for the circumstances she finds herself in! She is a great person and I loved reading about her and cheering for her throughout the book. This one left a smile on my face and in my heart and I recommend it to any romance fan and anyone who needs a pick-me-up! Donna K. Weaver has always loved reading and creating stories, thus she’s been ever entertained. An avid cruiser, she’s sailed the Pacific five times. Wife-mother-grandmother-Army veteran-karate black belt-Harry Potter nerd. Rayne de Latham, cousin to King William Rufus, should be enjoying a life of privilege. Instead, she has only known misery. Her disastrous first marriage yielded nothing but pain, suffering, and three stillborn children. She believes she is cursed and is certain another pregnancy will end in another tragedy. When the king seeks to get rid of her by sending her to marry one of his knights, she will do just about anything to get out of her betrothal. Widower Andre de Grelle is father to two small boys who came to him by marriage. When his first wife jumps off the castle walls in a fit of madness, he keeps the boys he has grown to love as his own. When king sends him a new bride, the lovely but trou-bled Rayne, he vows to have more patience with her than he had with his first wife. Once Rayne arrives at Cuxton Castle, Andre realizes there is much more to her than meets the eye. She does everything she can to force him to send her away, but nothing works. Frustration grows as Andre discovers his betrothed is hiding something from him about her past, something so devastating she cannot speak the words out loud. In the midst of a siege on nearby Pevensey Castle, a truth comes to light that changes everything. As the real story of Rayne’s past emerges, lives change forever. Will love be enough, or will it be easier to walk away? 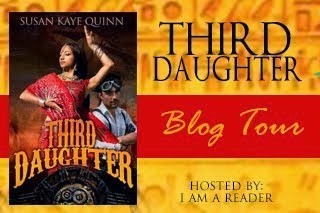 This is a great historical romance novel and I loved the main character Rayne right from the beginning! She was very decisive in what she wanted to do and how she went about accomplishing her goals was sometimes laugh out loud funny. I admired her determination for sure! 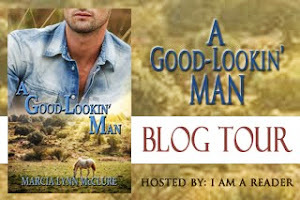 Andre is the handsome brooding type and I loved his loyalty, kindness and chivalry! The mystery that began to unfold I pieced together pretty quickly, however I still enjoyed uncovering the details and finding out exactly how everything went down. 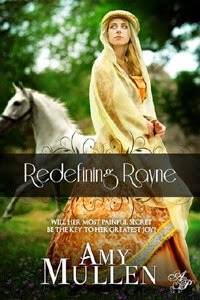 If you like historical novels, especially ones with stubborn characters and mysteries then you will enjoy Redefining Rayne! Princess Samantha's magical compass can help her locate her long-lost brother, but only if she manages to escape the watchful eyes of her royal parents. When an unwelcome suitor comes to call, Samantha seizes her chance. She beguiles the prince into taking her north, intending to abandon him at her earliest opportunity. Unfortunately, his captivating good looks and charming manner present an unforeseen complication—especially when she is forced to accept help from the very man she has deceived. To maintain his bachelorhood, handsome Prince Wills is not above deception. Although reluctantly entangled in Samantha’s scheme, he vows to protect her…until a lie threatens to destroy their alliance. Can his powerful attraction to the princess overcome his mistrust? And can they survive a dangerous quest to the wild and magical Uncharted Region? Where has this book been hiding? I absolutely love it! 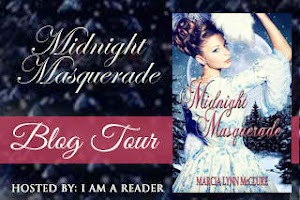 It combines a few of my favorite things: princes and princesses, magic, mystery and romance! Immediately my attention was drawn into this family whose father had banned magic and tried to have his own son killed for practicing it! Why would he do that? Why was magic so bad? Fast forward a few years and we follow Princess Samantha as she seizes the opportunity to find her lost brother by tricking the prince from a neighboring kingdom. Rogers takes the reader on an adventurous journey where a prince and a princess find out that not everyone and everything is what is seems! I didn't want to put this book down and I loved every minute of it! 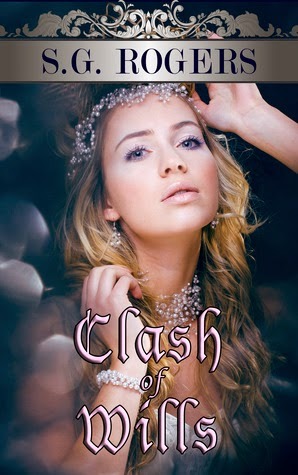 If you like fantasy, fairy tales and mystery, Clash of Wills is the book for you! You can pick up your own copy of Clash of Wills via Amazon. 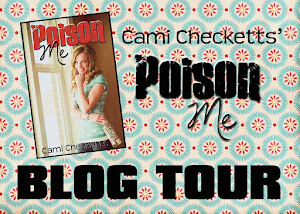 Prejudice Meets Pride by Rachael Anderson Blog Tour & Giveaway! Fun, compelling, and romantic, Prejudice Meets Pride is the story of a guy who thinks he has it all figured out and a girl who isn't afraid to show him that he doesn't. It’s about learning what it means to trust, figuring out how to give and to take, and realizing that not everyone gets to pick the person they fall in love with. Sometimes, love picks them. Prejudice meeting pride is exactly the story of this fun contemporary novel by Rachael Anderson! Emma is so stubborn and full of pride that she cannot and will not accept help from anyone, but especially her new neighbor Kevin! On the flip side Kevin cannot believe that his new neighbor drives a run-down old car and is okay with her sidewalk full of chalk and disarray! He is so prejudiced towards her that he cannot see her for who she really is! Will she ever put aside her pride and he his prejudice? This book was a great read and full of everything I like! A strong willed leading lady and an equally strong willed leading man! Emma and Kevin's banter made for great reading and the two adorable little girls made me smile and my heart melt! A wonderful modern day rendition of Pride and Prejudice, I believe that any Austen fan will love Anderson's take on the classic! What happens when a rebel meets a runaway? Confirmed bachelor Theo Cavanagh is dashing and free-spirited. Not for him a career in the clergy, the military or politics - he’s more interested in wine and horses. But when Theo happens upon a pretty but thoroughly exasperating young fugitive, he soon finds himself caught up in her adventures, and in a passion that can’t be denied. Unconventional Sophie Devereux is more comfortable climbing trees than the social ladder. An audacious escape from scheming relatives is only the start of Sophie’s mission to achieve a long-held dream, but Sophie carries a secret that inspires hatred, envy and greed. She can’t outrun the danger that stalks her, or her powerful response to Theo which leaves Sophie shaken to the core and questioning her deepest, most enduring desire. I admit that I judge a book by it's cover and this one is gorgeous! The cover alone made me want to read it! Cover aside, this book is AMAZING! 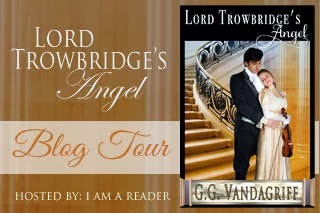 I love regencies and this one is unlike any regency that I have read! Sophie literally drops into Theo's lap and their adventure begins! There is mystery, swoon worthy kisses, sizzling chemistry and action that leaps off the page at you! If every book by Hanbury is like this, I will be reading all of them! 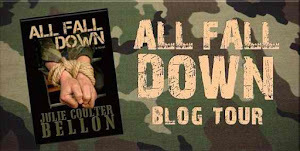 It was a page turner from the beginning and held my attention throughout the entire book. 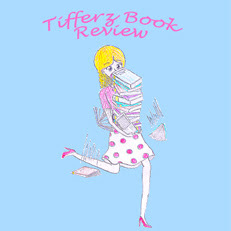 The pace was perfect and had just the right balance of romance, action and intrigue! 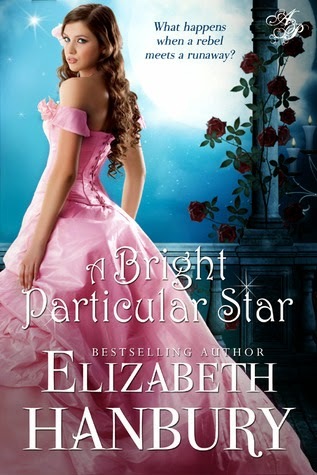 If you want a regency with depth to its characters and romance that you can feel, then A Bright Particular Star is for you! I will be acquiring more Hanbury books shortly because I cannot wait to discover what else she has written! You can pick up your own copy of A Bright Particular Star via Amazon.